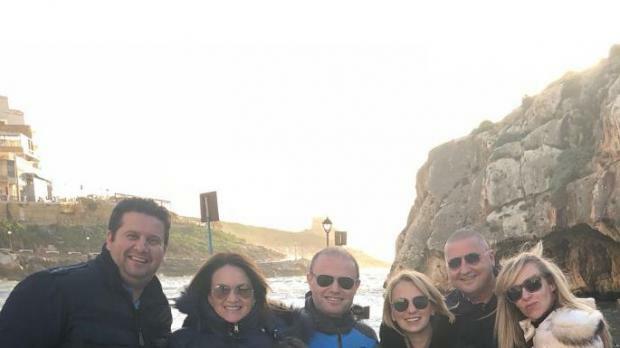 The government is set to appoint Karl Izzo, Malta’s national waterpolo coach and a personal friend of Prime Minister Joseph Muscat, as the island’s ambassador to Montenegro. Mr Izzo is not known to have any experience in diplomacy or political affairs and no academic background. He is a former waterpolo player who, together with his wife Diane, owns the fashion retail group Dizz. He is expected to be appointed a non-resident ambassador following approval by Parliament’s Public Appointments Committee, which scrutinises government nominations to important posts and institutions. The committee, on which government MPs have a majority, is chaired by former Minister Edward Zammit Lewis, another close friend of Mr and Mrs Izzo and a lawyer to their businesses. This raises the question of whether Dr Zammit Lewis should withdraw from the committee when the vote on Mr Izzo is taken. The Izzo family have often travelled abroad on vacation with the Muscat and Zammit Lewis families. The last holiday they took together was only a few days ago. It is not known if Mr Izzo has any connection with Montenegro other than through waterpolo. Montenegro is considered one of the strongest national teams and several Maltese clubs have hired Montenegrin coaches and players. Young Maltese players also travel regularly to Montenegro, some of them spending months in training camps with clubs there. Following Labour’s return to power in 2013, Mr Izzo was appointed to various government boards. He is also a paid advisor to Sports Parliamentary Secretary Clifton Grima. The Times of Malta has reported that the retail outlets that will replace the Sliema Wanderers FC pitches at Tigne Point will be transferred to and operated by the Dizz Group. Mr Izzo is a government appointee on the commission that approves such ventures between sports clubs and commercial entities. A preliminary transfer of the Sliema facilities to Dizz has already been signed. The government has said Mr Izzo would not be involved in the project evaluation process. The government had failed to answer questions on whether Mr Izzo’s position on the commission was tenable.